For the next 3 weeks, my family and I are doing a weight loss challenge. 6 pounds to be exact! We are trying to eliminate refined carbs as much as possible and exercise daily. So when I came across this recipe on the internet, I was really excited, because it looked so nice and tasty! Well, I made this “sandwich” for today’s lunch for Laura and myself. It was so delicious! You can taste the curry, but it doesn’t overpower the flavors of the pecans, golden raisins, green onions, celery and parsley. 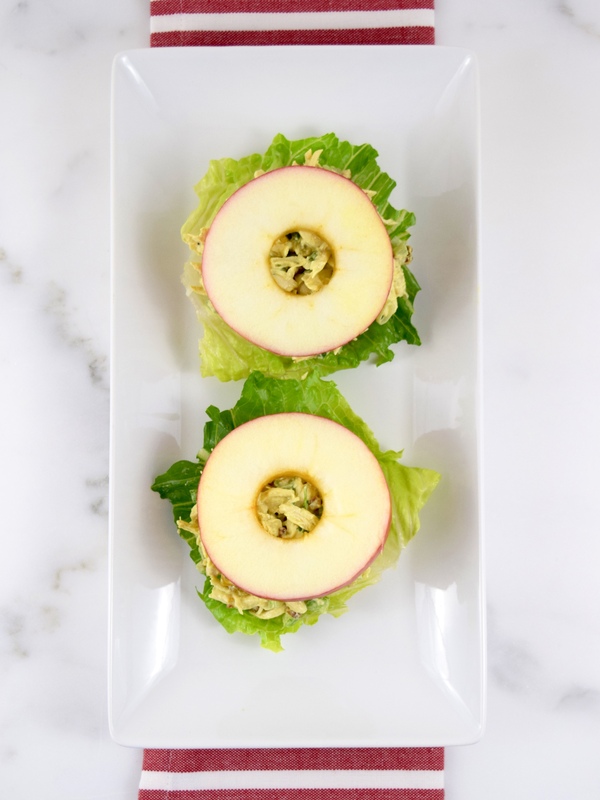 The apple slices make an excellent substitute for bread. You won’t miss it at all! The only thing I did different was use romaine, instead of Bibb lettuce, because I wanted to use the romaine up. 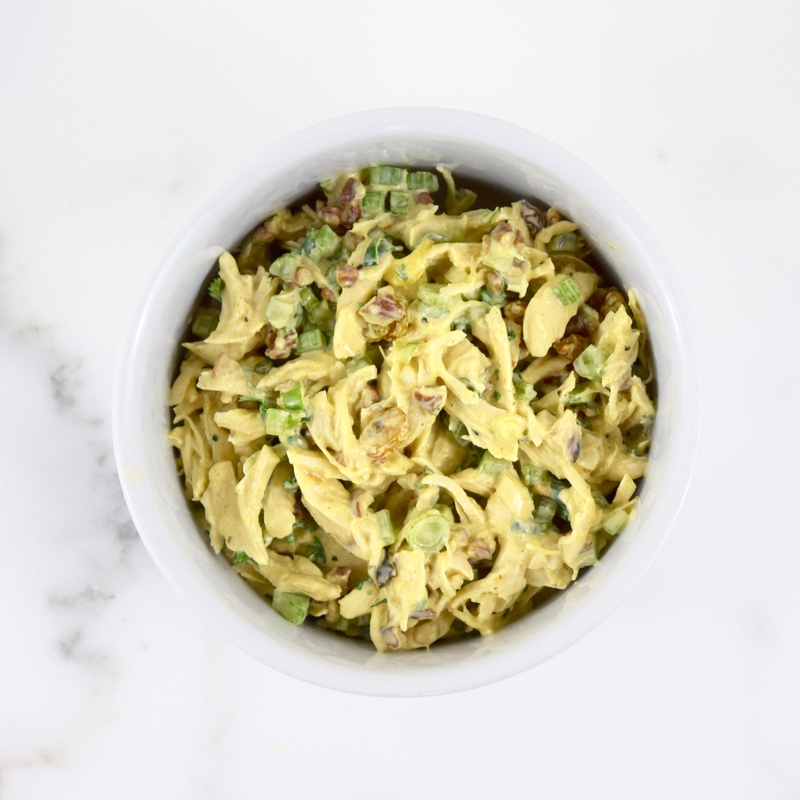 This chicken curry salad would also taste great on a bed of mixed greens! My daughter said, “This is bomb, Mom,” so it doesn’t get any better than that! This terrific recipe came from the Food Network. 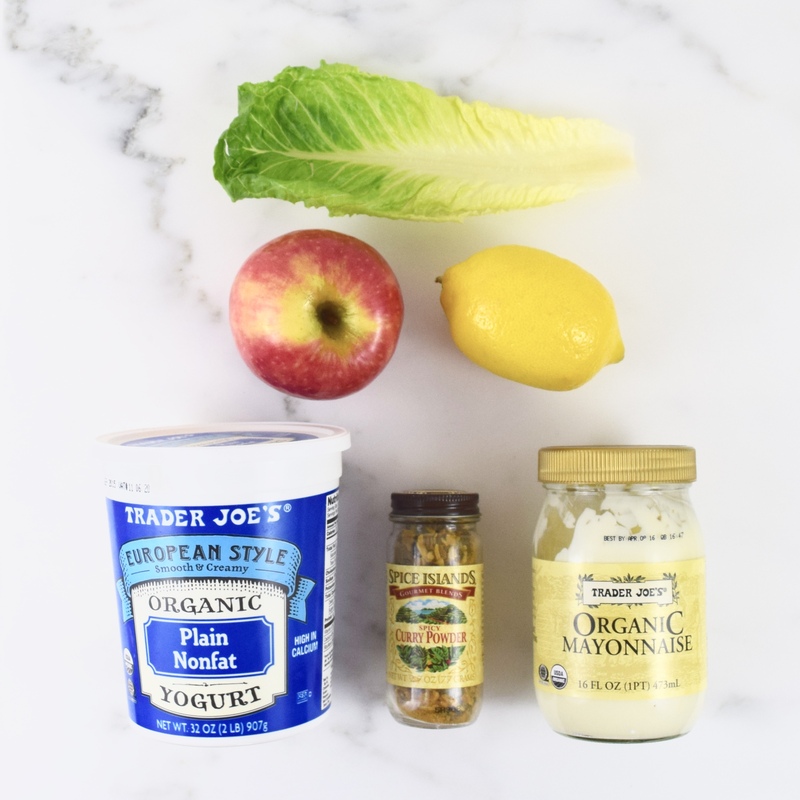 In a medium bowl, whisk together yogurt, mayonnaise, lemon juice, green onions, curry powder, ½ teaspoon salt, and a few grinds of black pepper. 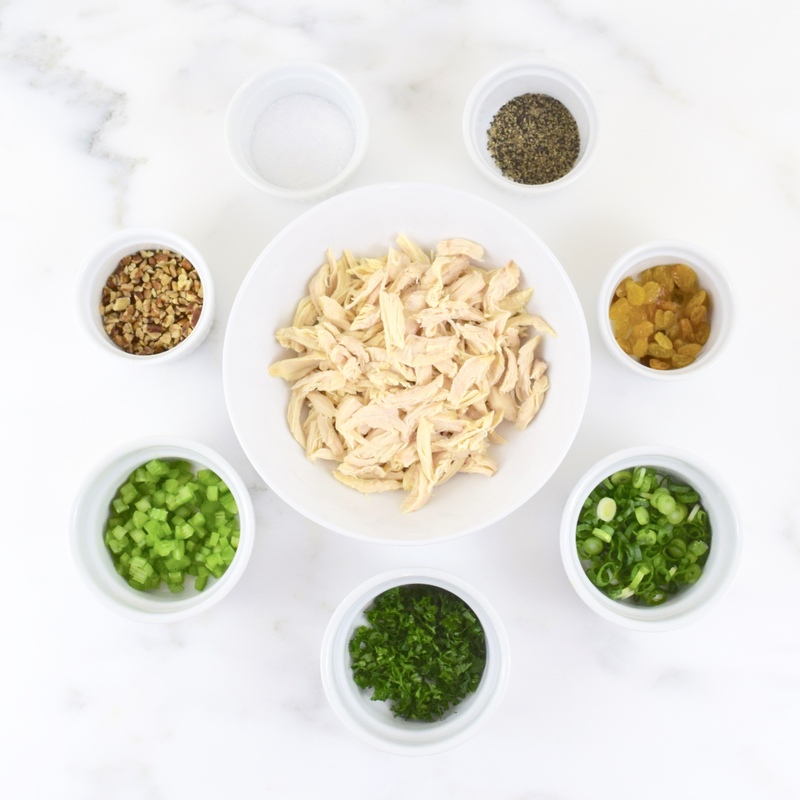 Add chicken, pecans, parsley, celery and raisins. Mix well. Cover and refrigerate, until ready to use. Can be stored up to 3 days. Core the apples. Cut into ¼-inch slices for a total of 16 rounds. 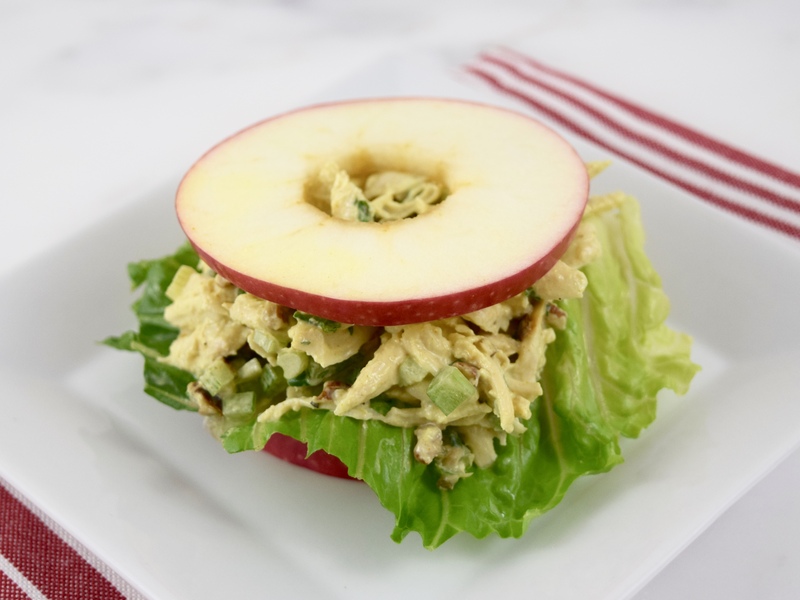 Place a lettuce leaf on top of the eight apple rounds, then add ¼ cup of chicken salad. Finally, top with another apple slice. Serve immediately. 8 sandwiches/2 per person. What a great idea, and a cute presentation too! Thanks, Bonnie! Did you have a wonderful time in Hawaii? Thank you so much, Bec! Mila, thank you and you are so welcome! Apple rounds?? Very innovative!! I’m going to have to try this one out soon! Looks so delicious! Hope your challenge went well. Lynn, thank you. We still have almost 2 weeks to go! wow how is that going?